We've had measurable snow twice in the past 4 days....a bit unusual for here. But then, where hasn't the weather been unusual lately? 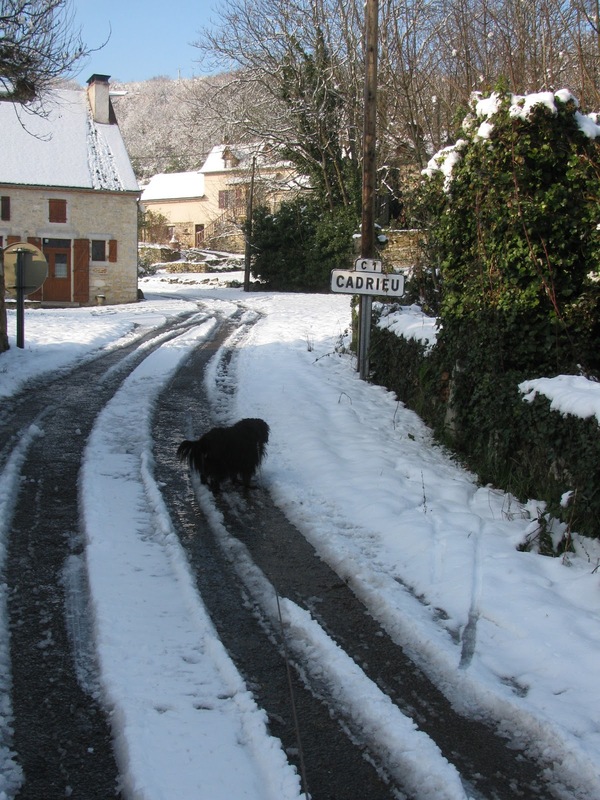 We don't mind walking in the snow at all especially when the sky is blue. With her long hair and very hairy feet, however, Lucie tends to pick up enough snow to make big snowballs that dangle from her feet and the 'feather's on her rear. Some were so big after our brief walk that I had to cut them out with scissors as they were too large for her to chew off herself. The view across the river was quite pretty. 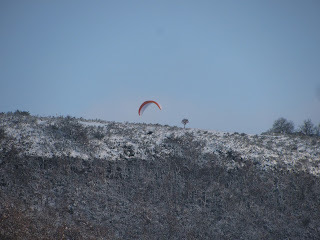 There was even a parapentiste up sailing over the river. The uplift wasn't very good, but I think the view of the river valley blanketed with snow must have been amazing! 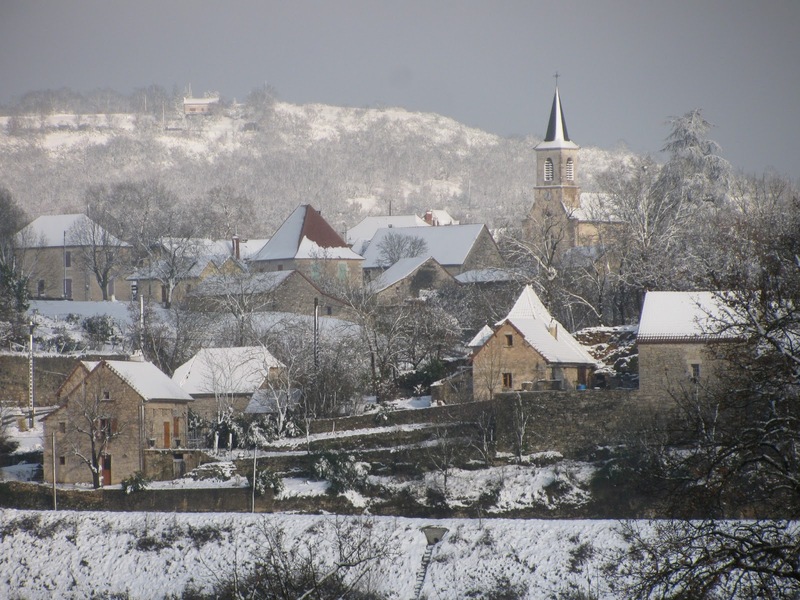 The photo of your snow covered village is so picturesque. And what a pretty dog, she looks happy in the snow.